Mark your Calendars as we are quickly approaching our Annual Picture Day & Bottle Drive Fundraiser Saturday May 11th @ Lakeview Park - Photos for All Divisions. Please note all teams from all divisions are required to attend and have their team photos taken. VBA will be covering the cost for a "Memory Mate" picture for all divisions. Packages will be available for those that wish to purchase them. Coaches will hand out picture order forms closer to the date. 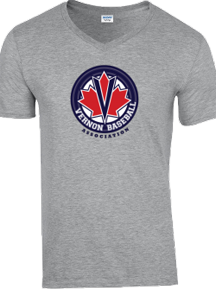 Help us keep registration fees low by saving your empty bottles, cans & juice boxes and donate to Vernon Baseball. Simply bring them with you; we'll have a designated collection area at the ball field. 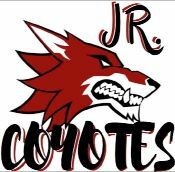 Team pictures scheduled throughout the day, there will be baseball games for the Mosquito Division as well as other activities for all! Concession with be available serving snacks & refreshments. Thank you in advance for your support of Vernon Baseball. Its that time of year again, fields are open, fields are ready. Baseball will be in full force over the spring and summer. We are happy to announce our summer camp line up for 2019. We have lots of different weeks available and also two new High Performance 2nd year Peewee and Bantam Only camp which we have a cap of 20 athletes per group, with one in Kelowna and one in Penticton. Please email Evan Bailey at evanbailey@shaw.ca for registration details and payment information. In preparation for our 2019 baseball season, VBA will be hosting Level 1 & Level 2 Umpire Clinics, open to everyone from age 12 to adult. If you or anyone you know is interested in spending a little time at the ball park while making some extra money; come on out! Already registered? Call 1-866-861-8326 or click here to reserve your team's accommodations. 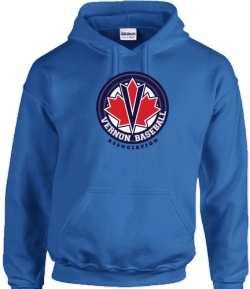 You can now purchase Vernon Baseball Apparel directly online. A percentage of all purchases goes towards Vernon Baseball.